Hi, everyone! Welcome to my blog, Look Both Ways, which currently focuses on my backpacking travels and experiences throughout Southeast Asia with my husband for the next six months. After arriving in foreign countries, some travelers notice interesting or different local customs like driving on the “wrong” side of the street among other cultural differences. This was definitely the case when my husband and I arrived in Bangkok, and because of how crowded the city is and the more relaxed attitude towards staying within one’s designated lane, I had to make sure to look both ways at least two or three times before crossing the street. But of course, I wouldn’t necessarily call this the wrong way of driving. That’s just one example of how life is different here in Thailand. My husband and I started this journey because it is important to us to experience and try to understand how other people live and how different experiences frame one’s perspective on life. When I started reminding myself to literally look both ways crossing the street, I thought it was also a good reminder to do the same figuratively throughout this six-month journey and always. It’s tough to change the lens through which I observe things abroad. Here, I’m a foreigner with different culture, privileges, and experiences, and will inherently look at many things this way, but I will also be attempting to observe life here — and everywhere — with honesty and an open mind and open heart. 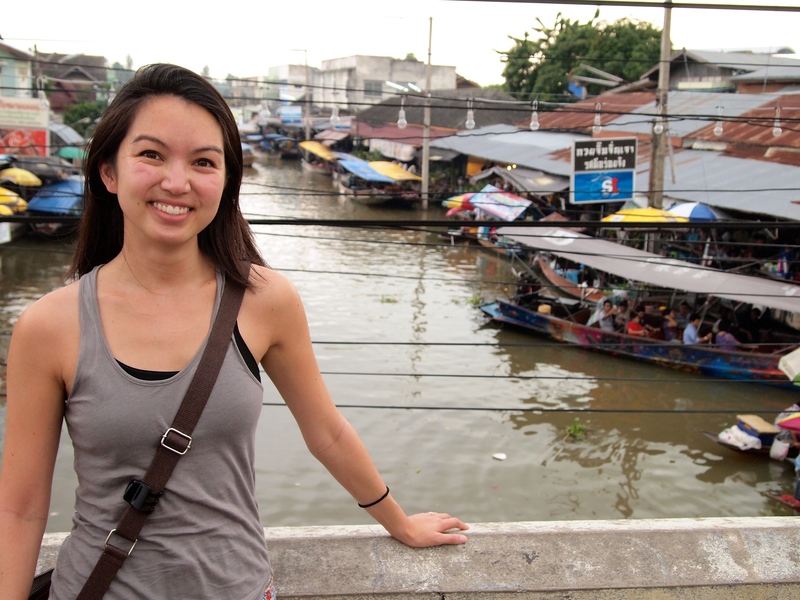 So feel free to follow along as we make our way through Southeast Asia! Experiences are more rich and enjoyable when you can share them, so hopefully ours will reach you and speak to you in some way. Enjoying your posts, and excited to see how your adventure unfolds!